Instagram has taken the world by storm in 2014. With the rate it’s going, it is no surprise to see the majority of online marketers are predicting that Instagram will be the next, go-to image sharing platform. For me, I use Instagram because I am that bad with images. I don’t have the hands of photographer and minds of a creative thinker. I even use Canva for most of my features images. With it, I am able to use the filter, making the same photo looks awesome and a dozen more reasons. But here’s the thing. Creating great images will NOT help you generate more sales, traffic and brand awareness on Instagram. Getting the right attraction is really challenging, to be honest. You are literally competing with over 300 million Instagram users. No, I’m not going to let you press the ‘X’ button or close this page without taking something back with you. 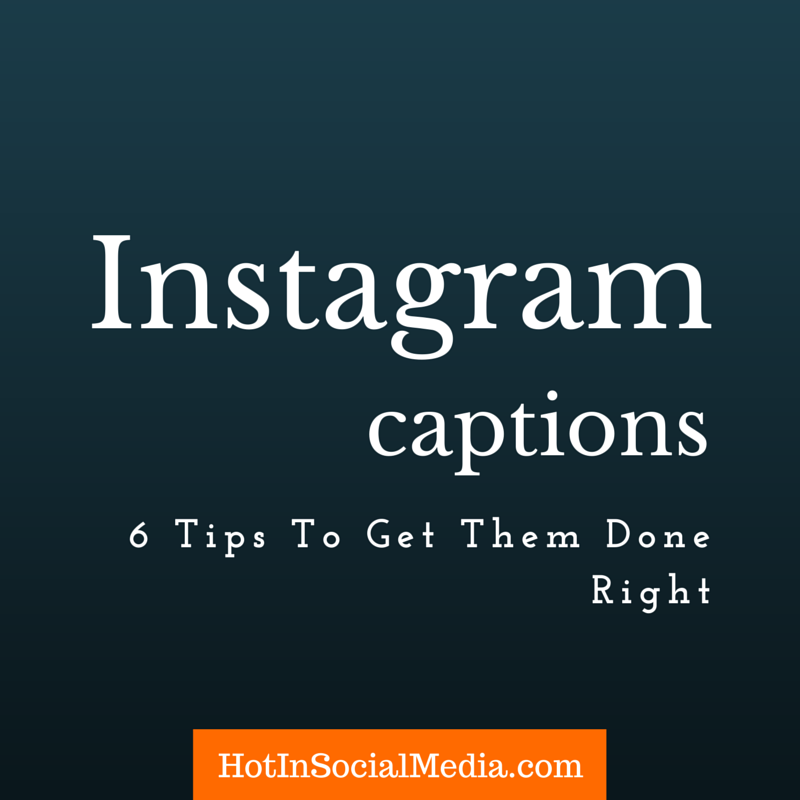 My mission in this post is to share with you 6 bite-size Instagram tips to create powerful and good Instagram captions that catches the eyes and build your followers. If you are using iPhone like I do, I recommend using TagsForLikes and Instatag apps. When was the last time someone commented on your Instagram? 15 seconds ago I suppose? Whenever this happens, take the time to build a relationship with them. Take a moment in your caption to answer the questions you think people may have. This is a great opportunity to showcase yourself as a leader in your field. The whole idea is to make them feel that their comments are appreciated. The image represents a thousand words but it means nothing if you are not to convey the intended message to the readers. Share a little back story of what it is all about with your readers and they will appreciate it. Just by seeing the image, I have seriously no idea what he was doing. I may even think that he is doing a snapshot of him playing his iPhone, trying to show off his Canon camera or just a random shot before a video. But with the captions he provided, it tells a whole different story. I played with this for a couple of times and pretty awesome, to be honest. Are you tired of having those paragraph in the caption? And yes! You are done. Can you believe how fast that is? If you want to have Instagram works for you, you got to ensure that you are sharing images and captions appreciated by your followers. Images must be great (you can tool like WordSwag on iPhone or Canva for the matter) and captions must strike their hearts. A little survey can be done to understand your followers such as using different hashtags, asking questions or even filling in the blanks in the captions area. If you are going to post something on Instagram, avoid using short forms or shorthands. People may not understand what you are trying to say and therefore, it would be meaningless. If you are planning to write a caption, make it short and memorable. 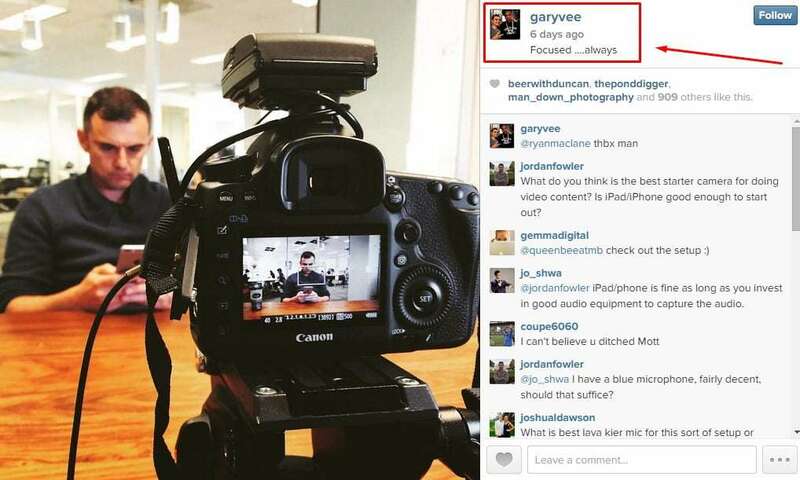 Do you have other good Instagram captions useful tips, that you commonly use? Share with us in the comment form below and allow us to take them for a spin!